It seemed like a routine repair job. A customer arrived at Comprite — an electronics repair shop in West Linn — with a Samsung Galaxy S7 edge phone that wasn't working. 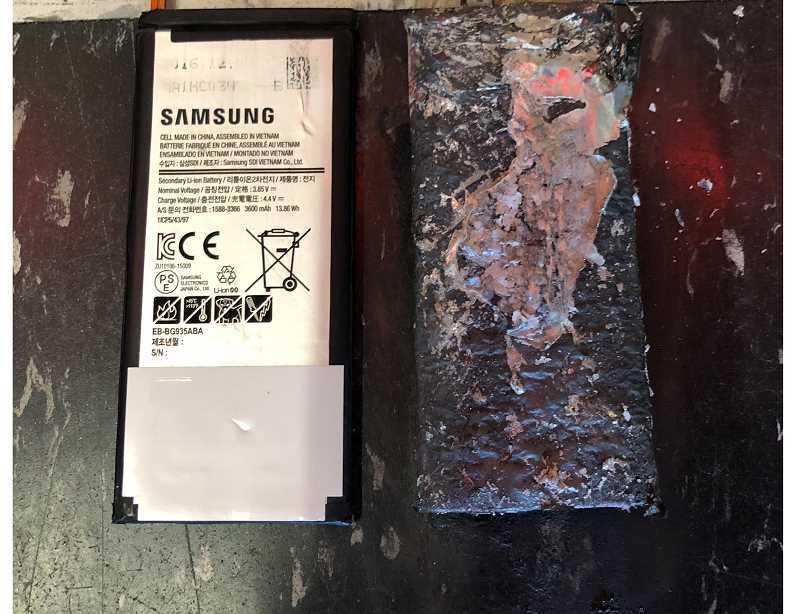 The phone had a bulge near its battery storage area, and it didn't take long for Comprite owner Eric Varivoda to diagnose the problem. "Yeah, it's the battery," he told the customer. "We can get it ordered for you." The new battery arrived Tuesday. But when Varivoda pulled the old battery out, the situation became, well, explosive. "I pulled it out of the phone and put it down, and — no joke — about two minutes later it started steaming up," Varivoda said. "I thought I should probably throw it on the ground before it exploded." Varivoda pulled out his own phone to start taking a video just a few seconds before the battery burst into flames. "It was like a flamethrower," he said. "Fire was coming out for 30 seconds. 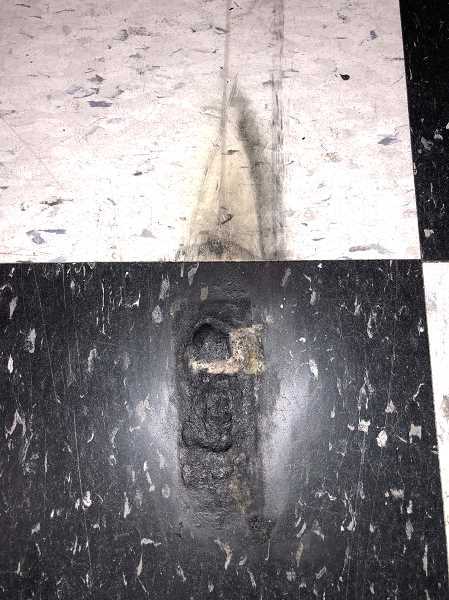 I had to stomp it out … it could have caught the whole building on fire." Over the course of about five years working on phones, Varivoda had seen plenty of batteries expand or release steam — but never explode. Varivoda was unharmed in the incident, but the explosion did leave a charred impression on the floor of the store. "It was a bit of an intense experience," Varivoda said. "In no way did I expect it to do that." He added that the situation could have been much worse. "The concern was if it exploded in someone's pocket or something," Varivoda said. "We did reach out to Samsung and showed them what's going on. … We're sending it back (to Samsung) and we set (the customer) up with a phone in the meantime, so he can use that temporarily. We're hoping they replace his phone with a new one or cover the cost of it."